Here are the hidden depths to Elsa and Anna's story. Frozen. Love it, hate it, or don’t care about it, it’s still enormously popular. Keeping in the Disney tradition, there’s a plethora of deeper connections in this movie to make it appeal to adults. Here's some of the things that have been placed into the movie to make it more awesome. Most notably, at the end of the reprise of "For the First Time in Forever," the notes of this song are played, since Elsa struck Anna out of love and fear-her fear of Anna getting hurt. The comic relief character, Idena Menzel (Elsa's voice, for the two of you who don't know) herself has stated that Olaf represents Elsa’s childhood. He also represents Elsa and Anna’s relationship. First off, he’s created when Elsa and Anna are friends as children. His original form is destroyed when Elsa and Anna’s relationship is destroyed. He’s re-created during "Let it Go." Basically, the first thing Elsa does when she decides that she can do whatever the heck she wants is to build a snowman. She’s clearly wanted to build a snowman for quite some time. 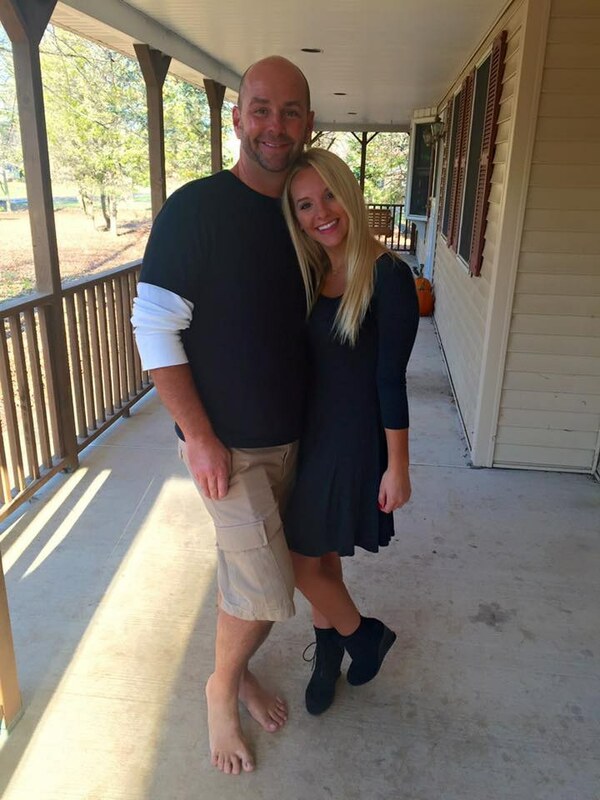 His personality is childish, silly, and goofy, again hearkening back to Elsa’s younger days. He’s destroyed during the storm at the end, when everything gets real intense, but he’s then re-created after the melting, when Elsa and Anna’s relationship is healed. Then, he’s kept around permanently. The song’s been compared to "Defying Gravity" from "Wicked." If you know anything at all about "Wicked" then you know how similar "Wicked" and "Frozen" are, and that this comparison is extraordinarily easy to make. Here’s a Tumblr post that demonstrates the similarities between this song and "Tangled." Elsa’s powers are related to her emotions. Here’s how it works. Think about Elsa’s powers. In the beginning, it’s all sparkly and fun, because she’s having fun with Anna. But when Anna gets hurt, her powers change. Her primary emotion regarding her powers is fear, and fear makes her powers spiky. During "Do You Want to Build a Snowman," when she accidentally ices the window, it makes spikes. And then there’s the whole bit with the Coronation scene. During "Let it Go," she’s accepted that her powers are beautiful. So, they make wonderful, beautiful things, from the entire palace made out of ice to her famous sparkly dress. Then, there’s the reprise of "For the First Time in Forever," where she feels despair over her inability to be with Anna and unfreeze the kingdom. Of course, she accidentally makes a snowstorm inside the palace, and the walls go red. Later, when she is attacked by Hans, the palace goes yellow, representing her fear and rage. During one of the non-singing parts of "Do You Want to Build a Snowman," Elsa’s father gives her gloves, and she uses them throughout the movie to hide her powers. She takes them off during "Let it Go," because she’s living with her power. You know who else wears gloves for the entire movie? Hans. The only time he actually is himself is when he tells Anna that he wants to kill her. Hey! It’s Hans’ villain song! I’ve been searching my whole life to find my own place. 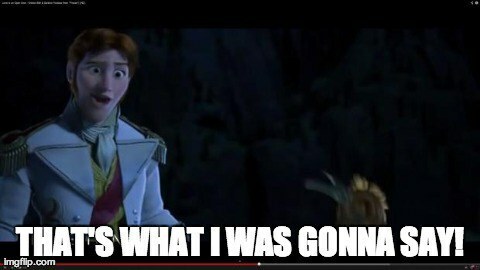 He gestures towards Arendelle as he says this. When they say “You and I,” Hans says “You” and Anna says “And I,” so they’re both referring to Anna. Of course, this is an animated film. 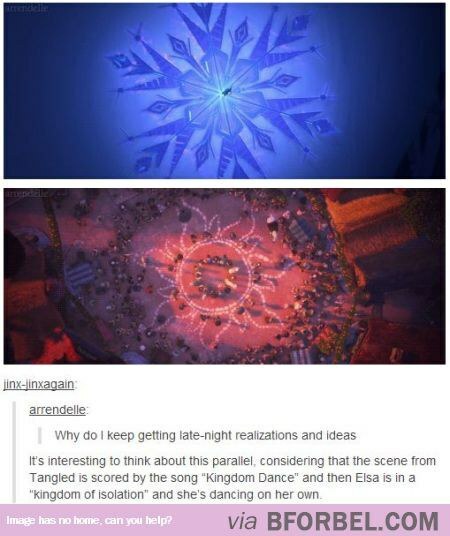 If Disney wanted to, they could get their choreography perfect. But it isn’t in this song. For instance, when Hans and Anna hop up onto the clock tower, Hans reaches for Anna, but she runs around the other side of the tower instead. Throughout the entirety of the song, Hans is simply following Anna around and following her movements and actions, feeding her the lines he thinks she wants to hear. The song reinforces the metaphor of doors in the movie. Elsa, of course, closes Anna out of her room and leaves the palace doors closed. It can also refer to the closed-off nature of Hans and Elsa’s hearts, but ultimately Elsa opens up her palace doors to let Anna in and leaves the gates open at the end of the movie. Hans, on the other hand, closes the door on her and leaves her to die. Bonus fact: The idea of doors extends from "Tangled." Mother Gothel’s room had no door, whereas her own room had one--additionally, she had a secret way out of the tower that Rapunzel didn’t know about. "Frozen" is based (very loosely) on Hans Christian Anderson’s "The Snow Queen." Anderson also wrote "The Little Mermaid," as well as "The Ugly Duckling," hence the appearance of ducklings during "For the First Time in Forever." And then, of course, he inspired the names. Say “Hans Kristoff Anna Sven” fast enough and it sounds like Hans Christen Andersen. Several other minor details, such as the ice skates at the end of the movie, originate from the fairy tale. A big thanks to Disney Wiki for a lot of this information.